Hi crafty friends hope things are going fine for you all. This week is our big shopping week - hate it cos its food and not stash, lol. 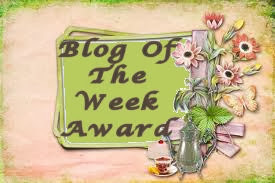 So while I have some time I'll do another blog. White card from The Range. I have used an inverted corner punch on all corners. Merry Christmas stamp from stash. 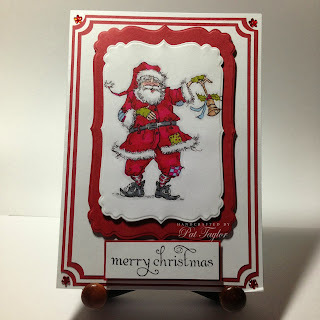 The image is a Mo Manning digi stamp called "Ragged Santa"
Which I have coloured in with FM's. Cut out with Xcut Fancy Rectangles and matted onto red card cut with larger die. all the Christmas digi stamps I have bought from Mo's website. Doing this has helped me with my colouring I find with the shading and blending. I hope you will still like what I have done. A beautiful card, love the image. Love that cheery Santa - coloured beautifully, super card. Fabulously coloured santa, wonderful Christmas card. Have seen this Santa and he is gorgeous and you have coloured him lovely.